What is cognitive development in early childhood? We use the word “development” all the time when speaking about early childhood education and health. We talk about developmental stages, social development, sensory development, skills development, developmental impairment, normal development and a host of other topics. But we don’t often take the time to define the basis for what we’re referring to in these cases. They may be obvious to some, but for those who truly don’t know, we need to ask: what is cognitive development in early childhood? 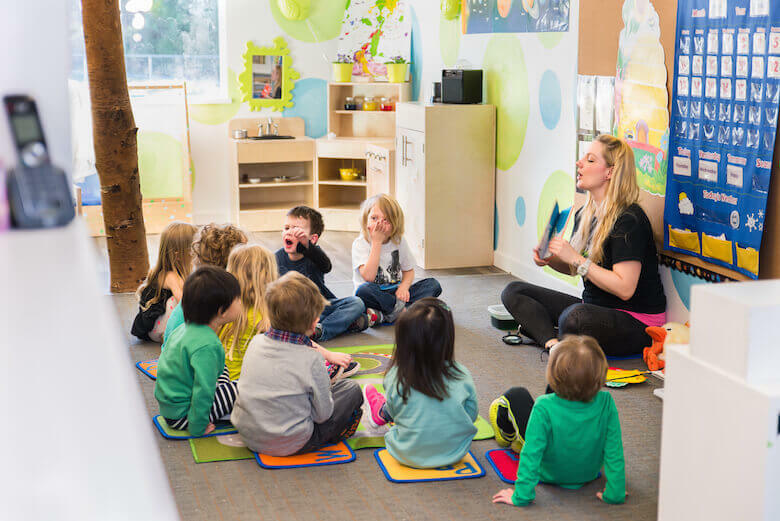 Cognitive development in early childhood refers to a set of intellectual abilities that researchers consider to be ‘normal’ for an infant, toddler, preschooler or kindergartener. In other words, it’s the quantification, or systematization of how much a child should be able to do or understand by a certain age. These abilities can manifest physically, or mentally. But, physical developmental milestones – as well as social, emotional or language milestones – are often looked at as separate categories of development. Of course, they are all interrelated, since brain function basically affects everything else. How is ‘normal’ defined when it comes to cognitive development in children? Cognitive developmental stages are not arbitrarily set. Rather, they are based on long-standing theories posed by educational experts who have observed several children at different ages. We use the word “theories” because it’s not possible to study empirical data of everyone’s neurons at a certain age. With that said, researchers acknowledge that the lines around what is ‘normal’ can be fuzzy. They can be based on culture, too. So, most parents shouldn’t be worried if their child is a few months late with crawling, or talking (or things like that). But yes: being too slow with brain functions is concerning. So, we certainly know when something is not ‘normal.’ And, adults being able to recognize cognitive impairments can help a young child get the help they need to ‘catch up,’ as best at they can, with peers of their age. What is considered ‘normal’ cognitive development in early childhood? This is probably one of the most important questions to ask on this topic, because solutions to abnormal cognitive development will stem from knowing what to expect. What are cognitive developmental milestones in early childhood? What can be done if a child experiences cognitive impairment? When there are disruptions in cognitive development, special education may be needed. We do not give up and assume that ‘it is the way it is.’ There are usually reasons behind the issues causing a child to learn or develop slower than is typical for their age. It could be genetic, or it could be environmental, or event-based. The problem may not be permanent, and even if it is, intervention may help reduce symptoms a lot. Why is normal cognitive development so important in early childhood? Researchers, doctors, teachers and parenting experts stress cognitive development because eventually, our societal goals are that all children in our community will grow into independent, functioning citizens. Improving cognitive development is essential to this goal. The other thing to know is that cognitive development can be encouraged and improved through early childhood education techniques. This can happen at home with parents, or at a daycare or preschool with specially-trained early childhood educators. Sometimes, kids can appear to just be playing. But in fact, they are developing their cognitive abilities all the time. The more we direct them to the right kinds of play, the more we can enhance this development. Knowledge builds up on knowledge! While we could explain more theory about early years cognitive development, the key is knowing how to recognize it in practice, so we can maximize its positive effects. For example, we’ve written about how toys can be educational, and thus help childhood development. So can sensory stations at daycare. Even music can affect childhood learning. And taking care of health, like getting a good sleep, or eating well can help children get the most out of their learning and development. This is why we write about these topics on our blog. They all trace back to the outcome of enhancing a child’s potential, by making sure their little brains are functioning healthily. What is social competence in the early years?